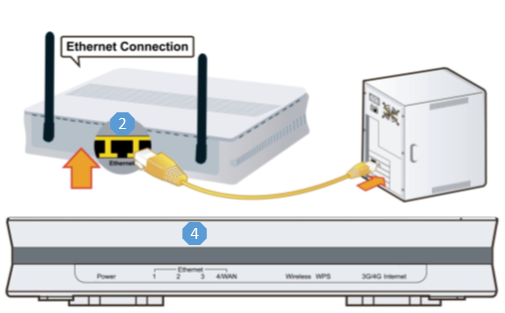 This document will provide basic wireless network connection procedure for the Macintosh OS X operating system. Step 1: Click the AirPort icon, located at the top right corner of your screen. 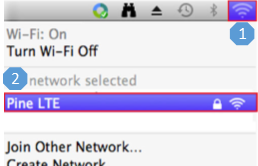 In the drop-down menu that appears, make sure Wi-Fi is On. 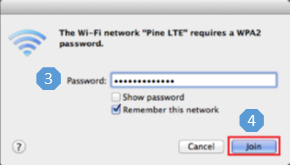 Step 2: Select the SSID “Pine LTE”. 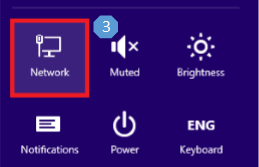 Ensure that “Remember this network” is check marked. Step 4: Click Join to establish connection. 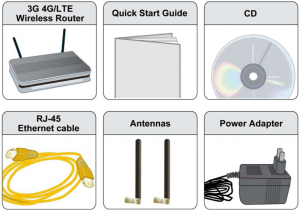 This document is intended to provide a quick LAN and WLAN connection Guide for the cellular broadband router BEC 6200WZL. To begin, ensure that you have all the basic package contents upon unboxing. 3 SIM Card Slot Insert the SIM card with the gold contact facing down. Listen for a soft “click” to indicate SIM card is locked in. Push the SIM card inwards to eject it. Power on the BEC 6200WZL router. 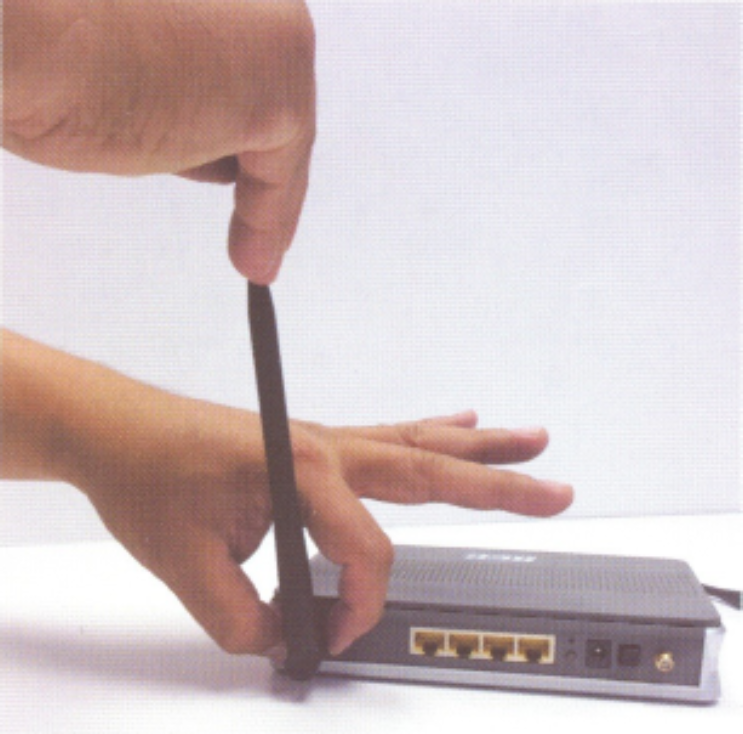 Connect the supplied RJ-45 Ethernet cable to one of the LAN ports and the other end of the cable to the PC’s Ethernet interface. Provide a few seconds for connection to establish. Verify that front panel Ethernet light(s) is on. Before starting the wireless LAN setup, verify the wireless key located on the bottom on the BEC 6200WZL router. Find it on a sticker labeled “Wi-Fi Key”. If this key is not available, contact Customer Support on the numbers provided on the other page and request the wireless key. 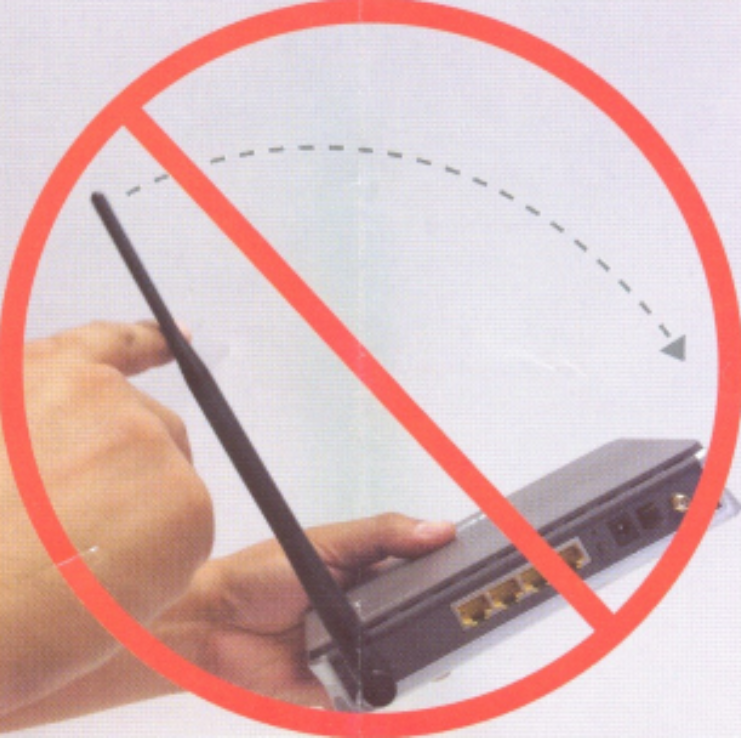 Ensure that the antennas are properly connected. Verify that the router is online by checking the Internet light. 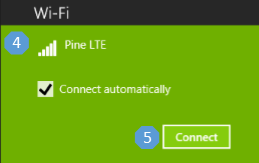 Green light means the router is online. If the light is orange, power off the router and remove the SIM card. Wait for about 5 seconds, insert the SIM card again, and power on the router. 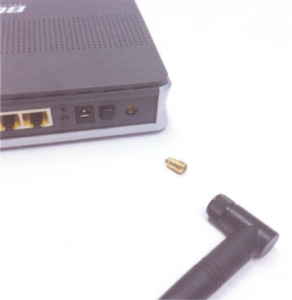 If the router remains offline, contact Customer Support for assistance. Once you confirm that the router is online, you are ready to begin wireless network connection. Part of this procedure will vary depending on your operating system.